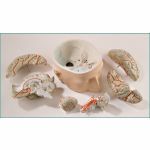 The new BONElike Skulls are made of a new material that allows an absolutely natural reproduction of even finest anatomical structures of the human skull for the first time. Bones made of 3B BONElike look real, have an absolutely natural feel and almost exactly the weight of a natural bone. 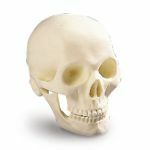 By combining one transparent and one bony skull half this is the first model to allow teachers, especially those of human anatomy, a topographical juxtaposition of the structures that cannot be seen in other skull versions. 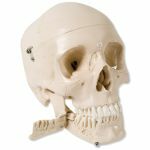 The right, transparent skull half allows the study of important anatomical details, such as the location of the paranasal sinuses. Therefore, in combination with the left, bony skull half, a direct transfer of the otherwise invisible structures becomes easy and uncomplicated. The transparency of the jaw in this skull allows an exceptional view onto the periodontal pockets and roots. The teeth from the skull are removable for detailed studies. 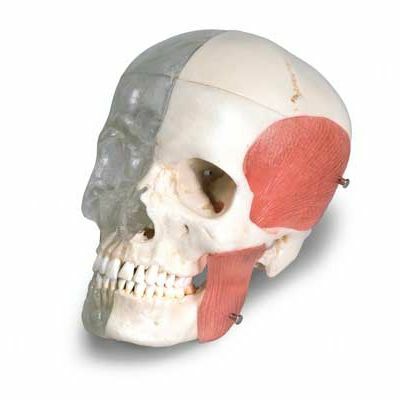 In addition, the external masticator muscles (masseter and temporal muscles) are represented on the bony skull half. To demonstrate masticator movement, the lower jaw in the skull is mounted flexibly. 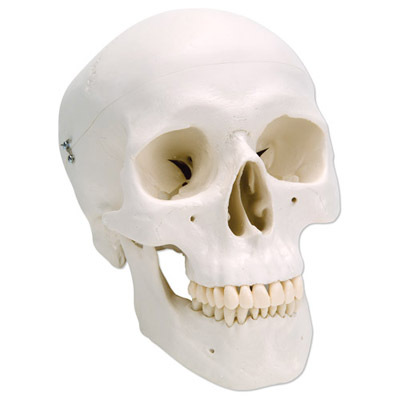 These features also make the skull especially valuable for dentists. 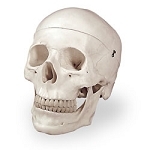 The skull can be disassembled into both halves of the skullcap and base of skull, the nasal septum, the complete mandible and both masticator muscles. 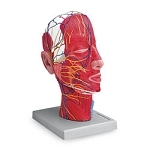 This replica is a valuable addition to any study of the human anatomy.